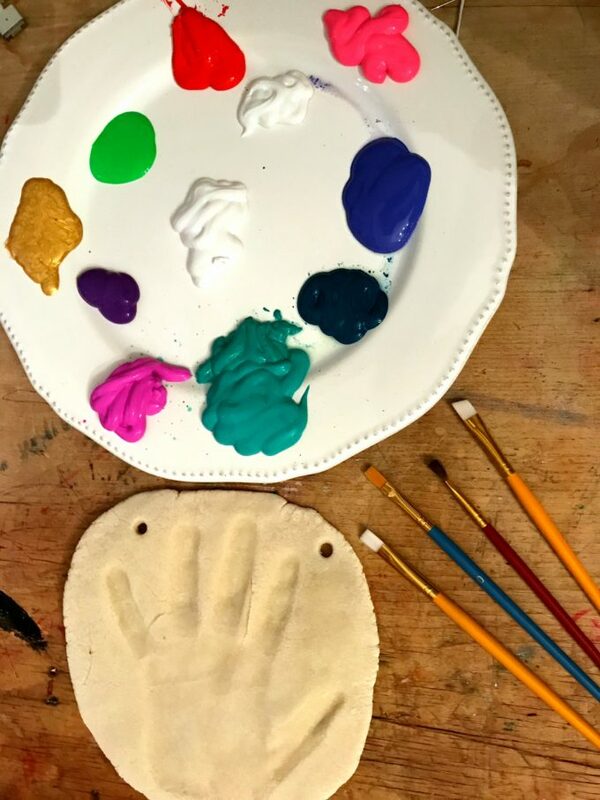 Make a gorgeous Nativity salt dough hand print keepsake for a Christmas craft activity with the kids this season! 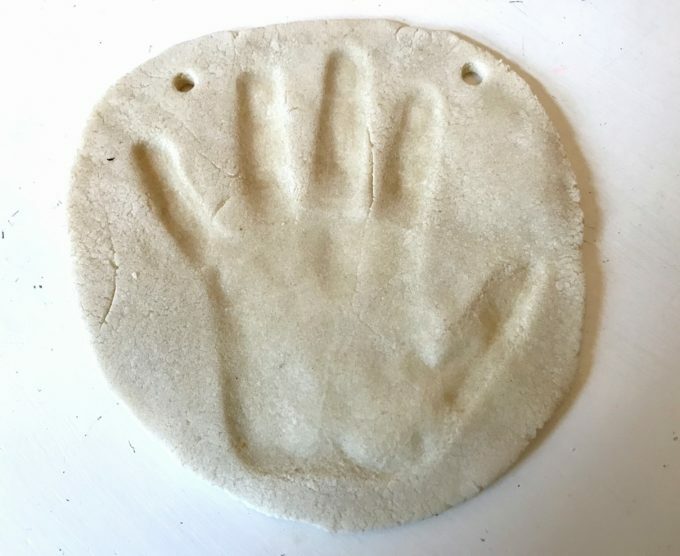 To add to our extensive salt dough keepsakes collection this year the kids have each chosen different designs to have made using their handprints. 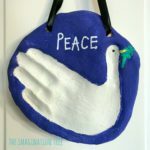 My eldest loved the idea of making this PEACE dove and my middle girl wanted to make her Nativity scene! 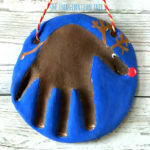 How to make a Nativity Salt Dough Hand Print Keepsake! 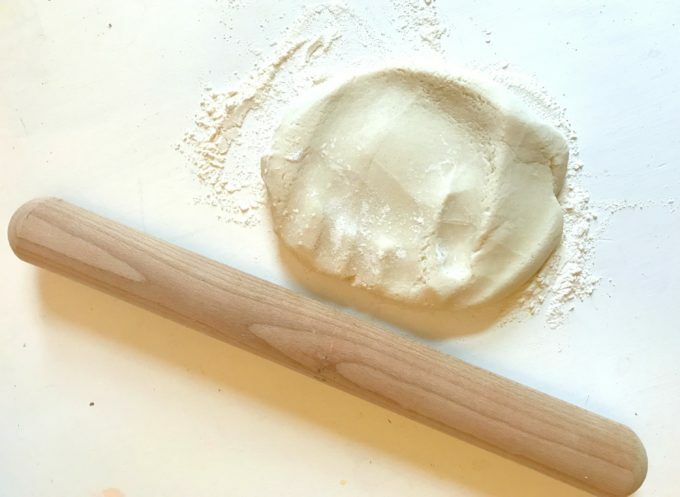 Then roll it out, again on a lightly floured surface, until it is 1-2 cm thick at the most. 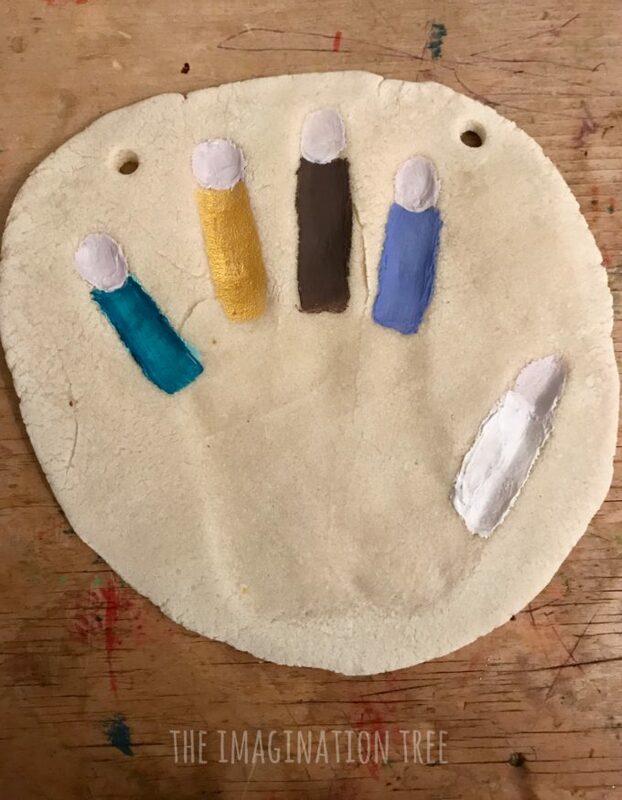 Form a basic circle, just bigger than your child’s hand, and then ask them to stretch their fingers far away from their thumb and press their hand in that shape, firmly into the dough. Next, use the drinking straw to make two holes near the top, evenly spread out. The ribbon will be thread through here to hang the ornament later. 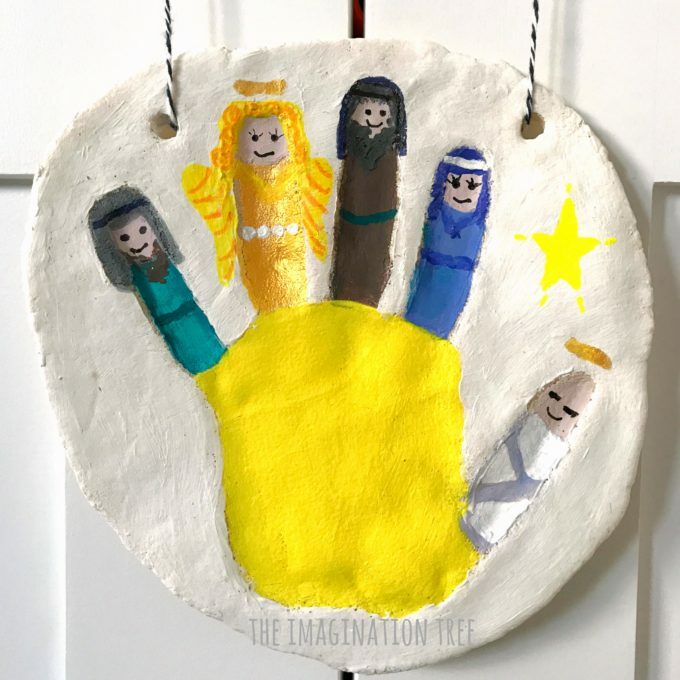 First you need to choose which members of the Nativity story you want to depict, as obviously you can’t include them all with just 5 fingers. 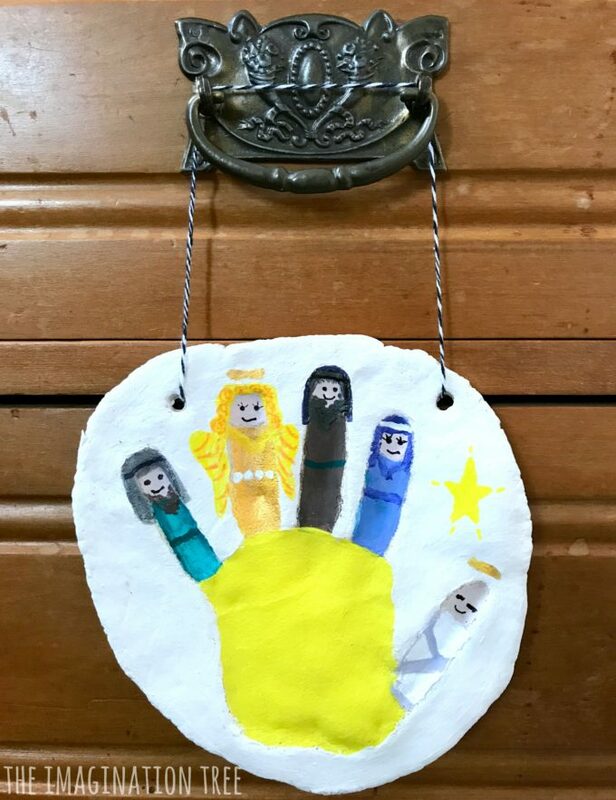 We decided on making the thumb into baby Jesus as it looks like the taller fingers are looking down over him. Then next to him on the pointer finger we chose to depict Mary, followed by Joseph, an angel and a shepherd. Another option would be to paint Jesus on the palm instead in a manger, then turn the final finger into a Wise Man. First we mixed a flesh tone and painted faces, then chose the colours for their clothing. Then we made the palm yellow to represent straw, painted the whole background white and, when dry, went over the top to paint headdresses, wings and halos! With some paint pens we added finer details such as facial features and the Star. You could also use these to write on a special message, Bible verse or simply your child’s name and the date. It’s now ready to thread through some ribbon or twine and hang on display! 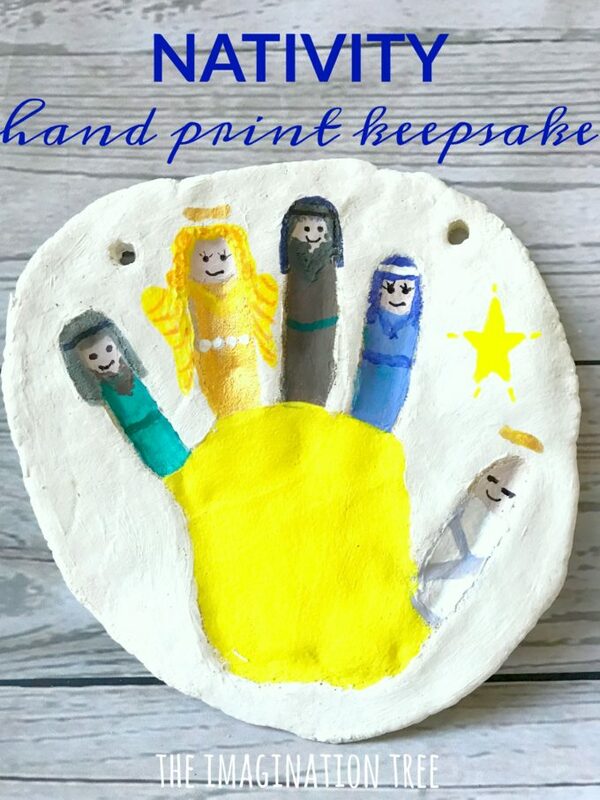 If your child’s hand is big then the nativity salt dough hand print keepsake will be quite heavy, so it might be best displayed on a flat surface or propped on a shelf. 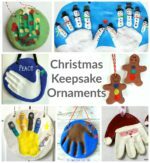 These ornaments will keep indefinitely when kept in a dry place without humidity. They’re SO lovely that you’ll want to give some to grandparents as gifts for sure! 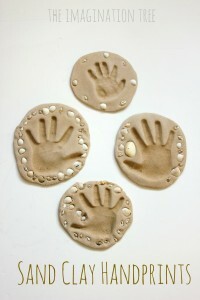 If you liked this one you will love our Christmas Tree Salt Dough Handprint Keepsakes too! And just a few weeks ago we made these gorgeous Fingerprint Gingerbread Men Keepsakes which are so cute. If you enjoyed this nativity salt dough hand print keepsake idea I would be so thrilled if you could share it on social media and leave me a comment! Thank you. 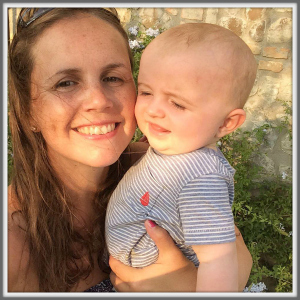 Let us know how you get on with it if you give it a try with the kids! 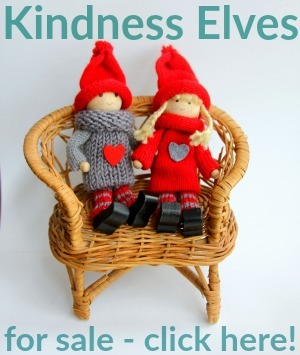 « Wonder and the Kindness Elves!